Okay, so it’s that time of the brand new week to talk about the 5 weekly polls that I run and we all vote in each week here. As usual we will start off with the Stones poll, where we enter poll week 1,027. 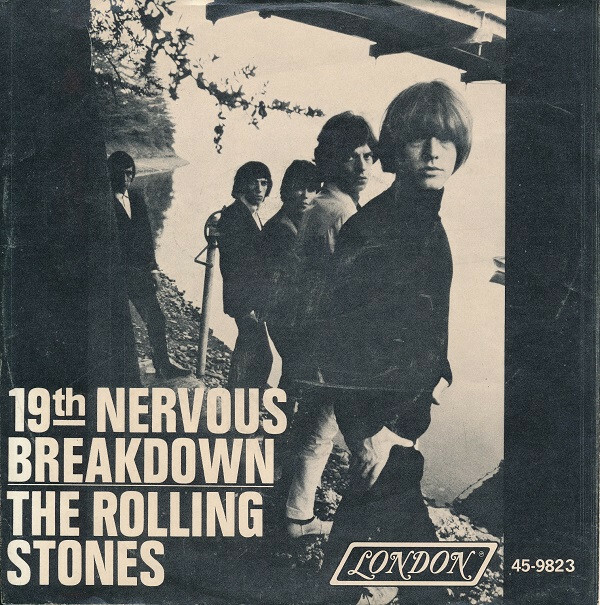 I always run 2 different Stones poll questions in one week for this poll, so for the first Stones poll, here’s the new question: Do you hear Brian Jones briefly playing a saxophone, or a fuzz guitar, on “19th Nervous Breakdown”? This question was part of a very long ago Gasland debate on what instrument is Brian Jones playing briefly in this song… is it a saxophone - or a fuzz guitar? While it's heard at 5 different times in the song, it's only heard for about 5 seconds each time, but for those 5 seconds, it very much is a standout part of the song. Of course, Keith plays the lead guitar on this song, and this tune is the only Stones song, other than perhaps on "Miss You", where Bill plays a lead bass guitar (be it at the song's ending). Brian on the song plays the rhythm guitar, no question about that, but it's also him playing the brief part noted above - but again, is it a sax or guitar that we hear? Yes, we had an interesting debate here a good 10 years ago on this, and at that time I noted in my future poll file to ask this question, yet I'm only getting to it now. I never asked it since I felt that whatever the outcome may be - that won't mean it's the correct choice, and I don't wish to misinform anybody who will see that in the future with what could be false info. But now after thinking it over some more, it's still a great poll question, and it would be cool to see what most fans hear playing at that part of the song. Brian of course could play both instruments, while the sax was the main instrument that he played before forming the Stones - a guitar band, in '62. Strange how his services playing sax were rarely used on Stones songs, but the Stones didn't start using the instrument regularly until after his death. Now last but not least, as you may have noticed above in the poll’s question, I didn't have enough room/space to play with and also add a link into the question. For a poll like this one, the link to the song needs to really be in the question and not in the choices. But because of the space limits in the polls’ fields, and the fact that I have to note each week what week we are in for the Stones poll only (that takes up a bunch of room alone), since the poll's old program only programs up to week 1000 - and I don't want the wrong week showing, well there's little room for too much more text - along with a link being included. So for this week, the song will be linked to by using both choices (it doesn’t matter which one you click on to play the song). Now the other problem last week in putting this question together, was that while on my old computer I knew how to copy sound bites, or even create them on that computer. On this computer I now have, I don’t have a program to do that with. So where the entire song isn't needed to be linked to - and instead just about 5 seconds of playing time where the sax or fuzz guitar comes up is what is needed to be linked to, well again, I don't have anything on this computer to make that sample sound with. So instead I had to link to the entire song. The sax/fuzz part comes up 5 times in the song, as you all know, but you only have to hear it once to vote, and the first time it comes up is at the 30 second mark of the song. 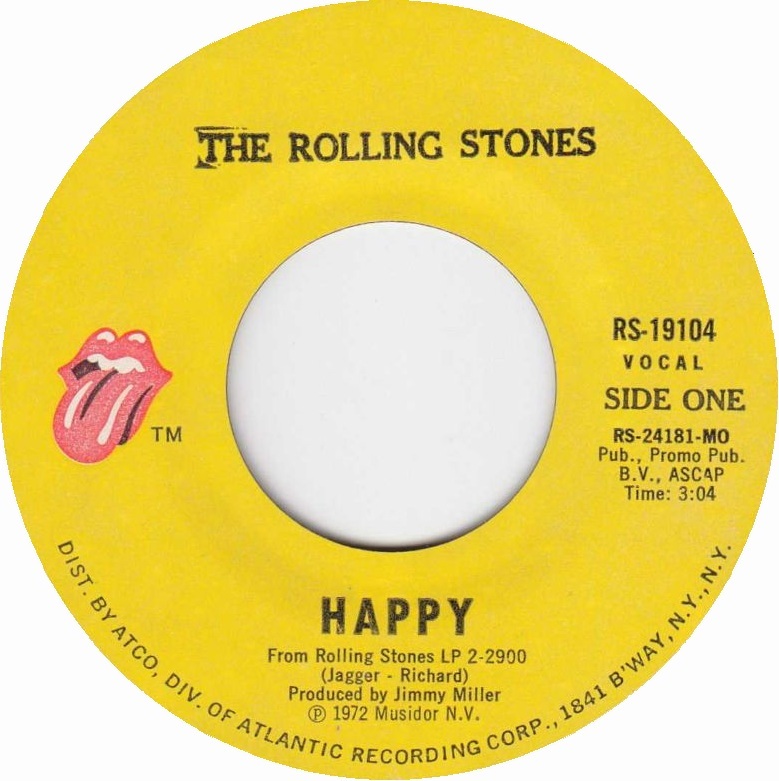 To vote on what you think you are hearing on this song - a sax or a guitar, just click here: Stones Weekly Poll, and when there, then click on Poll 1 to vote on this poll. For the second Stones Poll this week, the question is: Undercover vs It's Only Rock 'n Roll, which album do you like best? Both of these 2 LPs were just voted on in recent battles, with Undercover the guest LP just last week, and It's Only Rock 'n Roll hosting its series 2 weeks before that. This week both albums take on their 23rd and second to last stands in this series. As the host album this week for the return of The Undercover Polls, is Undercover. As noted here last week before the Black n Blues polls got underway, UC sits in second to last place in the album VS standings, and where it's still at this week (I'll talk about last week's very close result for that poll in a sec). This week Undercover takes on It's Only Rock 'n Roll, which sports a winning record of 14-7-1, and sits in the #9 spot in the standings. To see the songs that appear on Undercover, click here: UC, and for It's Only Rock 'n Roll, click here: IORR. To vote in this week’s second Stones poll, just click on: Stones Weekly Poll and click on Poll 2. 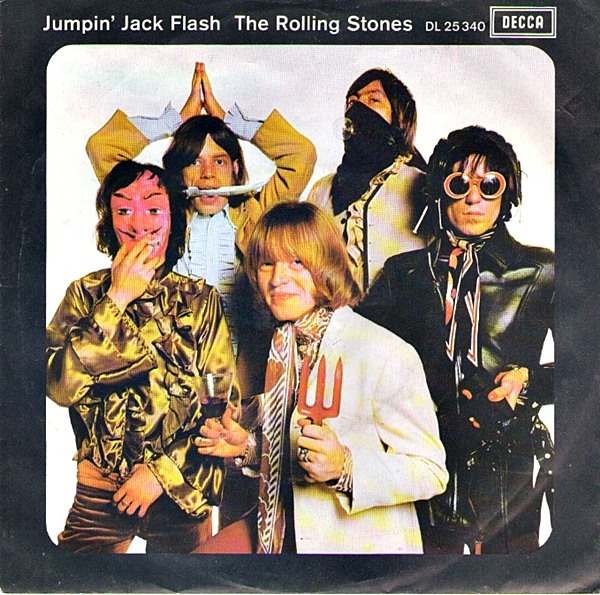 Looking back at our first Stones poll last week, we answered this question: "Jumpin’ Jack Flash” vs “Happy”, which Stones song makes you feel the happiest when you hear it playing? "Jumpin’ Jack Flash” won and by a larger margin than I was expecting to see with these 2 songs going up against each other. To see the exact vote totals from this poll, just click here: Stones Weekly Poll 1 - week 1,026. The second Stones poll last week asked this question: Black 'n Blue vs Undercover, which album do you like best? Very, very close voting in this one and just 2 votes decided which LP came in first. Did UC pull off its second win? Well, to view the final results and see, just click on this link: Stones Weekly Poll 2- week 1,026. Or, you can see all of the final results and see the updated, current album standings at the Stones VS Page 1. So we enter Week 3 of voting in this poll question, and the last week of voting on new choices. We have another 29 musicians listed this week to choose from. To see all of the choices for this third part, and then vote, just click here: Classic Rock Poll, and when you get to this page, choose “Poll 1” to vote on this question. 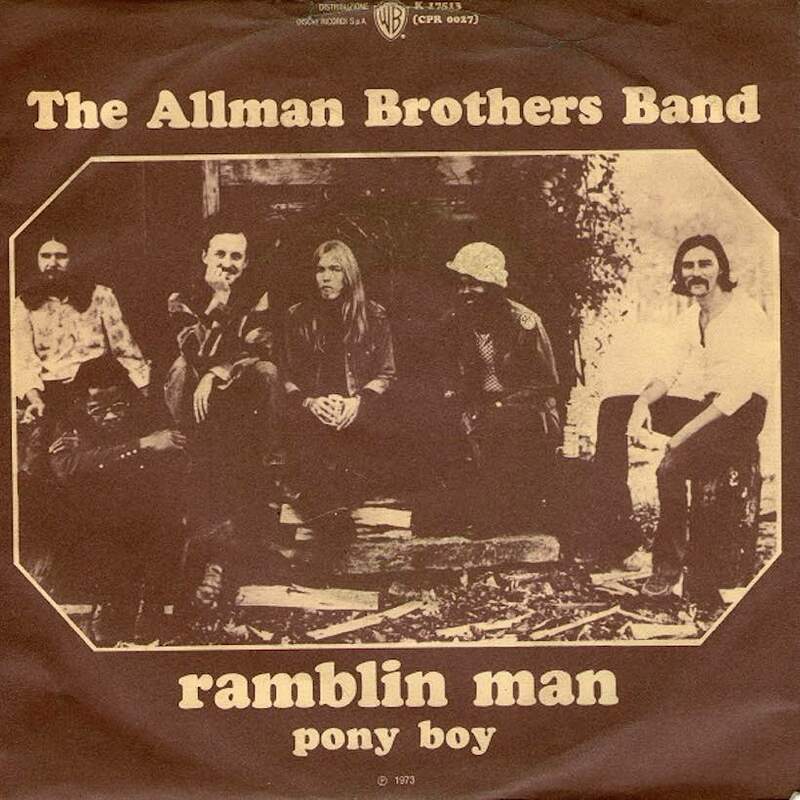 For our second Rock poll this week, we have the Rock VS poll, which asks this question: “Ramblin' Man” by The Allman Brothers Band vs “Traveling Man” by Ricky Nelson. Which song about a rolling stone is better? There are a lot of rock songs written and sang about rolling stones (the people, not the band) and in the past we did ask for the best of the bunch. But this is the first time we’ll look at drifters in the VS poll. “Traveling Man” by Ricky Nelson was one of the first such songs, released in 1961 and written by Jerry Fuller for Sam Cooke. But Cooke’s manager turned down the song and it was passed on to Nelson, who scored a big number 1 hit with it. Nelson of course was a child actor on his parents TV show and it was on that show where he started singing and became one of the early rock n roll idols by the time he hit his teens. I always felt bad for this guy, he flat out hated flying, and only did so because he had to while playing on tour, and while on what would be his last tour, his plane caught fire while in fright and crashed, killing him at just 45 year old, along with all of his band mates. Only the 2 pilots survived the crash. “Ramblin' Man” by The Allman Brothers Band was written and sang by lead guitarist Dickie Betts, his first hit single for the group. He had first recorded the song in 1972 for the Eat a Peach LP, but the band felt it was too country for them and it wasn’t used until it got included on the Brothers and Sisters album a full year later in ’73. The song featured guitarist Les Dudek playing the co-lead with Betts, and it also was the last song that bassist Berry Oakley played on before he was killed a couple of weeks later. The song became a big hit, reaching #1 on the US Cashbox Top 100 and #2 on the Billboard Hot 100. So which song do you dig more? To cast your vote in this week’s second Rock poll, just click here: Classic Rock Poll, and when you get to this page, choose “Poll 2” to vote on this question. The 8 artists picked to return for round 4 are: Eric Clapton - in the Yardbirds, Cream, Derek and the Domions, and Blind Faith (with 9.8% of the votes), Neil Young – in The Buffalo Springfield and Crosby, Still, Nash and Young (at 7.2%), Paul Rodgers - in Free, Bad Company, and The Firm (5.6%), Tom Petty - in the Heartbreakers and The Traveling Wilburys (5.6%), Timothy B. Schmit - in Poco and the Eagles (4.7%), Ian Gillan - in Deep Purple and Black Sabbath (4.6%), Ron Wood - in the Jeff Beck Group, the Faces, and some band called the Rolling Stones (4.6%), and last but not least, Gregg Rolie - in Santana and Journey (at 4.5%)… . To see the full, final results from Part 2, click here: Classic Rock Poll 1, week 666. Looking back at last week’s VS Rock poll, the question asked: Phil Spector vs George Martin, who was the better Rock producer out of the two? A close poll for sure, with George Martin pulling out a win by just 2 votes! Of course, that’s the wrong pick, as Spector made superstars out of several nobodys thanks to his skill and great production work alone. But he also was crazy, and he caused the death of a young lady and treated many of his artists real bad. I think he was voted against mainly for that reason, which shouldn’t even been considered, as we weren’t asking for the best man here, as Martin was clearly that. 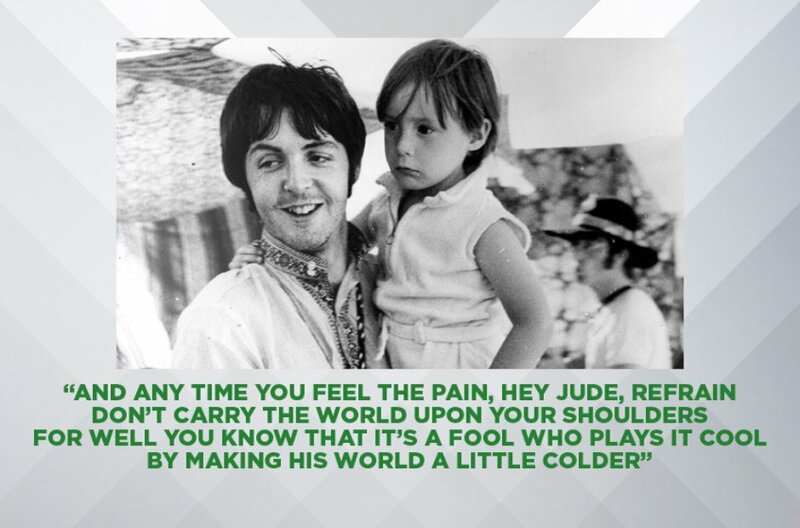 But he had the Beatles to work with – and while he did work great with them, and he was perfect for them, it was still the Beatles, and anybody working with them would be made to look great. 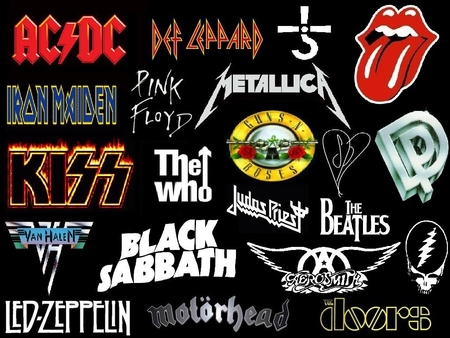 To see this poll’s full, final results, just click here: Classic Rock Poll 1, week 666. Or to see the results on the list page only, please go here: VS Page 3, List Page, 15. It's funny; I rarely ever run multi week polls at the Beatles poll, unlike say like I do at the Rock poll where they are very common, and even at the Stones poll where they happen every so often, too. Yet now for the second different poll question in a row - we got another multi Beatles poll to run! With 38 total choices for this question, it's really border line to breaking up the choices in 2, but once we get past the 30 choice marker, it's 50/50 that I'll run a rare 3 Part series like this, as most multi part polls are 4 parts or more. But hey, if there's one poll I'm short on new questions for, it's this Beatles weekly poll, so why not cut it up for this great question, and I do love what’s being asked here, as I asked the same question at the Stones poll a few years ago and it was a hit there. So yes, we got 2 weeks of new song choices to vote on and then in the last round the best from the first 2 rounds will go up against each to pick a winner. To vote in Part 1 of this poll, please go here: Beatles Weekly Poll. Well I was hoping things would loosen up at this poll a bit after last Wednesday, when there was a 10 song tie for first place (!) in this poll, something I’d never seen before that late in the voting for any of the polls run – ever before! It did loosen up just a bit, but not enough to tell us which song and its lyrics were #1, or #2, or #3, or even #4! Yes, a four way tie for first place! There was also a six way tie for the last spot, which would be 6th place! All this and the Beatles poll saw a new record high for votes cast last week. So I guess that old belief that with the more votes cast in a poll, the less ties that we would see. Yeah, right!... We will now have to run a tie breaker poll for this question, that will become round, or Part, 5. But since I just started this new 3 part series tonight, well, that means it will be 3 weeks until Part 5 of this lyric poll will be run and we finally get an answer to this question. So stay tune for that in the next few weeks! To view the full result from last week’s Beatles poll, including the top spots, just click here: Beatles Weekly Poll – week 417. So we now come to the close of our poll post. Just a note, as noted above, the Beatles poll saw a record high for their poll in votes cast last week with 1,516 total votes! Yet at the first Rock poll last week, 1,524 total votes were cast, yet that isn’t even a top 10 finish for that poll in total votes cast. The VS poll also saw its 7th highest vote total last week with 1,132 votes, yet both Stones polls lagged behind with their vote tallies. Yes, votes are up at the 3 non-Stones polls while they are down at our 2 Stones polls – since Gasland closed down. I was afraid this might happen, not that the vote count is that much off, as we’re still seeing more than 1,000 votes a week for each poll, but nothing to great, either. But overall, all of the polls combined are seeing more votes overall than they saw in January when Gasland was in its last month. Yet people are still reading this board big time, and considering that there’s almost nothing new to read but the Poll Posts, that something indeed. Still, there were over 37,600+ fewer page views at the board in March from what we saw in January. But with 95% of the posts now gone, and there’s a ton less posts and replies to read, and this joint ain’t a Stones board anymore, well 37,000+ pages views less in March is really nothing bad at all! In fact that’s excellent and more than what I was expecting to see! Yet I guess it means that many of the poll posts lurkers weren’t Stones fans, but rock fans who came on over here in the past just for this weekly post, and they all are still showing up to this very day, after all, they are here for the polls only, and the polls’ weekly post is still here! So with that noted, come on Stones fans – VOTE! The only problem is, the former Gassers and lurkers who never voted – well you can bet they aren’t showing up here anymore… but still, several hundred Stone lurker fans did vote who are now gone. So I just hope they will return and start voting again!... I thank all of you who are still voting in the Stones poll and in all of the other polls, too!